We are two shooting enthusiasts who have been shooting competitively and recreationally for our entire lives. We found out we needed some help focusing on our sights and targets as we aged. 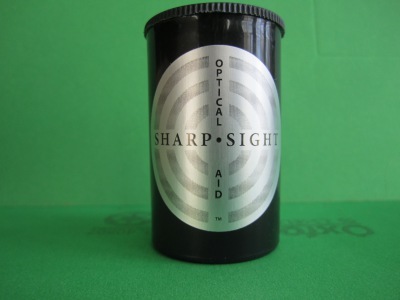 We developed SharpSight Optic aid as an alternative to the higher priced optic aids on the market. It wasn't long before people were asking to buy the SharpSight at various shoots we attended and thus started SharpSight. This device has been made for the past 25 years and is still going strong and we believe it will help you as well. If SharpSight looks surprisingly like the Lyman Hawkeye, it's because the same gentleman who invented and manufactured the Hawkeye is the gentleman behind SharpSight. Some improvements have been made to SharpSight, including a new suction cup for greater adhesion to shooting glasses. We are proud members of the NRA and the N.M.L.R.A. ( National Muzzle Loading Rifle Association). We stand behind the SharpSight. If you are not satisfied with SharpSight we will make it right. Within 30 days of receipt of SharpSight give me a call or an email and I will either refund the cost of SharpSight back to you minus postage costs or send another out to you, your choice.